Bed bugs have been on the rise lately, especially within the past four years. 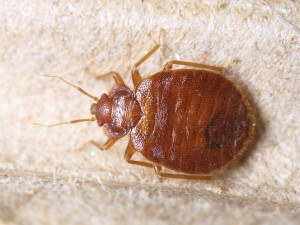 Once a bed bug invasion has begun, it can be nearly impossible to get rid of. They will infest your sheets, feast on your blood, and can live a long time without any sort of nourishment. If you do get a bed bug infestation in your home, you will want to contact a professional who specializes in treating bed bugs in Beaverton to help you deal with the issue. Bed bugs are very hard to get rid of, but with a professional helping you, you can get through the process. However, there are also some things you can do to prevent bed bugs from ever getting into your home. Bed bugs can infiltrate your home in a number of different ways, including latching onto some of your belongings, like a purse or a shopping bag. They can even jump onto your pets and get inside that way. You can deter this behavior by checking what you bring inside with you at all times. Do a once-over of your bags and belongings so you know you are not bringing in any bed bugs with you. Check your pets before you allow them to come inside so you can be sure they are not bringing any bed bugs in either. One way a bed bug invasion can start is if you neglect to wash your fabrics frequently, giving bed bugs time to set up in your sheets. Be sure to wash your sheets, linens, and other fabrics often enough so they remain clean and free of any insects at all. You can even seal the sheets with a cover so nothing can get through to your bed. Be very aware of the surrounding areas and make sure you are keeping up with the cleaning in the bedroom as well as the rest of the house. Calling in a pest control service can help you with prevention as well. They can help point out places where a problem may occur and can give you advice on how you can better prepare and prevent an invasion from ever happening.